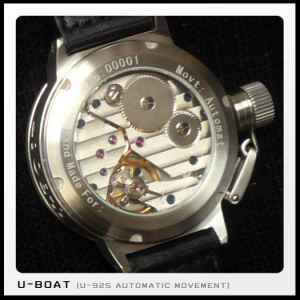 For every luxury product, there are fakes and replicas, so I guess it was only a matter of time before the counterfeiters turned their attention to the popular U-Boat watches. One particular vendor situated in Montreal uses a link to MattBaily.ca to promote his products on Craigslist. The watches that he shows are replicas of the Flightdeck MSG and MSB with different colour combinations. The watches display what looks like a Unitas manual winding movement, but some have the word 'AUTOMATICO' etched into the back of the case. Some models also mention 'CRONOGRAFO' on their case-backs. 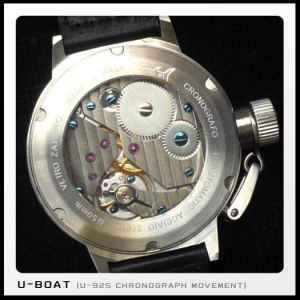 This is pretty suspicious, as non of the models shown are chronographs! The vendor sometimes claims that they are pre-owned and prices range from $700 to $1,000. Purchasing counterfeit timepieces has a negative impact not only on our economy but on our planet. Causes for concern range from the use of illegal and child labor sources to extreme waste and a negative effect on the environment. By not disclosing that these watches are replicas, this craigslist vendor, who's email address is brian_kernan@live.com, is amongst the worst offenders in the counterfeiting market.